Director Tiller Russell's documentary moves at a head-snapping pace. Operation Odessa, the latest title from Showtime Documentary Films, is a jaw-dropping true-crime documentary that really must be seen to be believed. There have been many great docs about the Miami underworld but Operation Odessa is surely one of the very best. 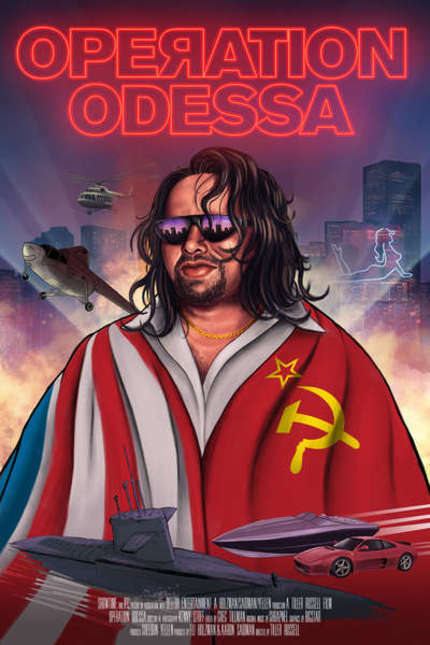 The central character of Operation Odessa is Ludwig "Tarzan" Fainberg, a Russian immigrant who grew up in New York. After making it big as a gangster, Tarzan made his way to Miami in the 90s. Although the "cocaine cowboys" era was over, Miami was still boiling over with money, dope and excess. Tarzan quickly teamed up with two key people: a heavily connected exotic car dealer and a mysterious Cuban spy. The trio did big-time business, including assisting the Colombian cartel's efforts in scaling up their coke smuggling operations. Eventually, Tarzan and his partners worked their way into an increasingly sophisticated and dangerous series of deals, including their ultimate scheme—buying a Soviet military submarine on behalf of Colombian drug lords. This ill-fated deal was their downfall. It also made them internationally infamous. After many years and many jail sentences, director Tiller Russell and his crew tracked down the three co-conspirators, along with an array of law enforcement officials who worked the cases, to get multiple perspectives on the crimes. Russell expertly pulls together a vast amount of material (interviews, recreations, archival photos and footage) into a dense yet coherent narrative that moves at a head-snapping pace. Straight out of the gate, Operation Odessa brings wild stories of guns, dope and extreme excess that often stretch the limits of credulity. There are twists and turns at every corner and the surprises keep coming until the very end of of the film. Operation Odessa debuts on Showtime's cable and internet platforms on March 31st. Anyone interested in true-crime, high-level documentary filmmaking or crazy stories should definitely seek it out.